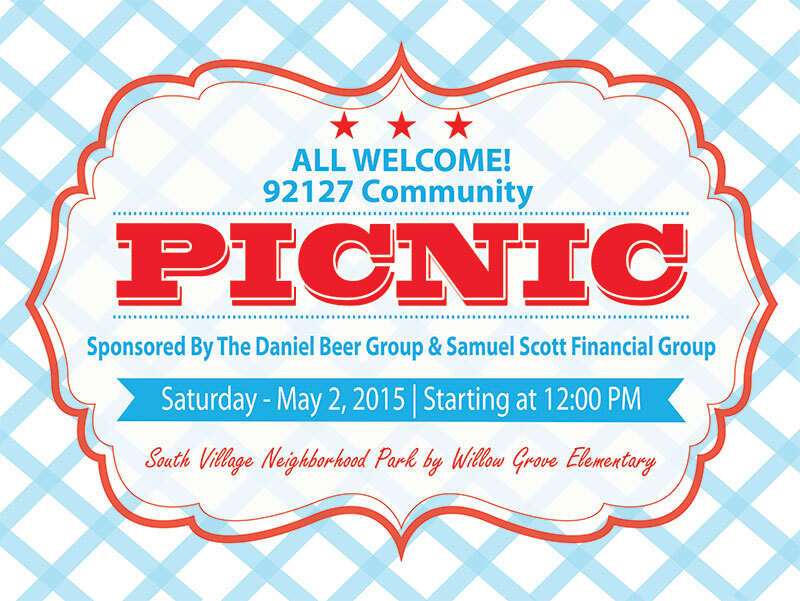 The Official Community Picnic for 92127 residents, family and friends. Petting zoo, food trucks, our local firefighters and their fire truck, games, raffles, games and much more! Don't miss out on all the fun in the sun. Come one, come all! South Village Neighborhood Park next to Willow Grove Elementary.